The wedge sneakers trend is so hot right now, it all started from Isabel Marant "Beckett" shoes, now they seem to be everywhere. I am a lover of high heels and I must confess I'd rather invest all the money that Marant's cost in a pair of Louboutins, but I wanted to try the new trend and have a good looking pair of wedge sneakers myself. I had to wait a bit before finding the perfect wedge sneakers for myself and I found them in these ones from Lemaré...they are hand made in Italy, they are pretty and so very comfy !. Le sneakers con plateau interno sono molto di moda, tutto è iniziato con le scarpe modello "Beckett" di Isabel Marant e ora sembrano essere un po' ovunque, diversi brand si sono cimentati nella produzione di scarpe del genere. Io sono un'amante dei tacchi alti e devo confessare che preferirei investire tutti i soldi che mi costerebbero un paio di Marant in un paio di Louboutin, ma volevo comunque provare il nuovo trend con un paio di scarpe che fossero ben fatte e belle da vedere. Ho trovato la perfetta alternativa nelle Lemaré...sono tutte fatte a mano in Italia, molto belle e sono comodissime !. You can order Lemaré sneakers directly from the brand's Ebay store, they came to me so fastly ! I went for "Brick" because it's perfect for Fall outfits, with these colors. In these pics I am wearing the shoes with a Burgundy outfit and my new bag, the Marc by Marc Jacobs "Too hot to handle" tote. Do you like it ? I am in love with its color and the smoothness of the leather of this bag and I can already see myself bringing with me with many different outfits !. Potete ordinare le sneakers Lemaré direttamente dal negozio Ebay del brand, mi sono arrivate molto velocemente ! Ho scelto il modello "Brick" perché l'ho trovato perfetto per gli outfit autunnali, con questi colori non troppo accesi. Nelle foto ho abbinato le scarpe con un outfit tutto giocato sul "Burgundy" e la mia nuova borsa, la tote "Too hot to handle" di Marc by Marc Jacobs, vi piace ? Io mi sono innamorata del colore e della morbidezza del pellame di questa borsa e posso già supporre che la porterò con me con molti outfit diversi !. These pics were taken in lovely Bruneck, during my holidays on the mountains of South Tyrol. The air was fresh and chilly and I had to bring a few scarves and heavy jackets with me ! I was actually happy about it, I don't regret Summer's end...bring it on Autumn ! I also got myself a new pair of sunnies (well, they are another birthday present ;)), these ones from Dolce e Gabbana, they're a bit different from all the sunglasses I got - I tend to buy similar ones ! I am loving the burgundy color and also the new lipstick from Chanel - Rouge Coco n. 45 - Caractère. I usually don't wear dark lipsticks and this one was a true surprise, it's not too dark at all and it's very longlasting !. Queste foto sono state scattate nella deliziosa Brunico, durante la mia appena trascorsa vacanza tra le montagne del Sud Tirolo ! L'aria era pulita e fresca e ho dovuto portare con me qualche sciarpa e la giacca pesante ! Ne sono stata felice, non rimpiango l'Estate...sono felice per l'arrivo dell'Autunno !. Ho anche un paio di occhiali da sole nuovi (beh, sono un altro regalo di compleanno ;)), sono di Dolce e Gabbana, un po' diversi dai soliti occhiali da sole che ho - ho la tendenza a comprarne sempre di simili !. Amo il "vinaccio" o burgundy e anche il nuovo rossetto di Chanel - Rouge Coco n. 45 - Caractère. Solitamente non amo portare rossetti scuri e questo è stata una vera sorpresa, non è affatto troppo scuro e dura parecchio sulle labbra !. Let me remind you that Romwe and Fashion and Cookies gave you the chance to win a $200 gift card to buy whatever you want on Romwe.com, directly entering from this blog !. This Giveaway is open worldwide and about to end (and you need to fill in the Rafflecopter form you can find clicking here ;-). The results will be known very soon so stay tuned for those and for more surprises ;). Amo i colori di quest'outfit! You look wonderful! Great color combination! You look soo smart in this outfit!! Love the shades & scarf too! Complimenti perchè hai abbinato le scarpe a tutto il resto in modo egregio,trascurando il mood sportivo a cui solitamente si abbina questo tipo di scarpa....ma hai cambiato colore ai capelli? 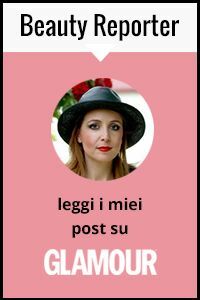 Stai benissimo e a proposito di Louboutin se ti va' di passare nel mio blog troverai una sorpresa!! tu sei splendida,il luogo dove hai scattato le foto è incantevole! !bel post!!kiss!! Che bella! Stai benissimo! Un baci e buona giornata. stai davvero bene .. questo vestitino è un amore e abbinato perfettamente! la borsa è meravigliosa!!! Wow such an elegant and beautiful outfit! You look so pretty, I just love the colors in this outfit. The MJ bag is amazing! Those shoes are the perfect addition to this look! Love it! Questo look è uno dei miei preferiti tra i tuoi! che bei colori autunnali! 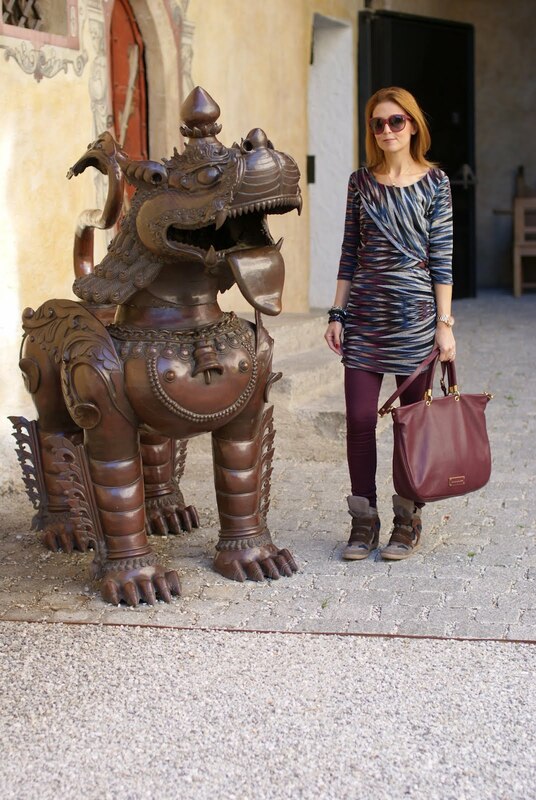 Adoro la borsa con le sneakers! Un bacio e buon fine settimana cara! I love those sneakers!! you styled them in such a fun look with the tunic!! Great blog! Greetings from Greece! stai davvero benissimo! le scarpe sono favolose!!! You look super hip and chic in this look!! I love the way you styled it...it's tough with those shoes to make an outfit seem elegant but you're bag and the color choice kept your look totally classy. The sweater is so nice and so is the bag. A un certopunto ho pensato che fossi in cina con quel leone cinese accanto lol! Comunque anche io semmai dovessi prendere un paio di scarpe da ginnastica comprerei le lemare'! Le hai abbinate benissimo con il burgundy! You look beautiful in this relax outfit. 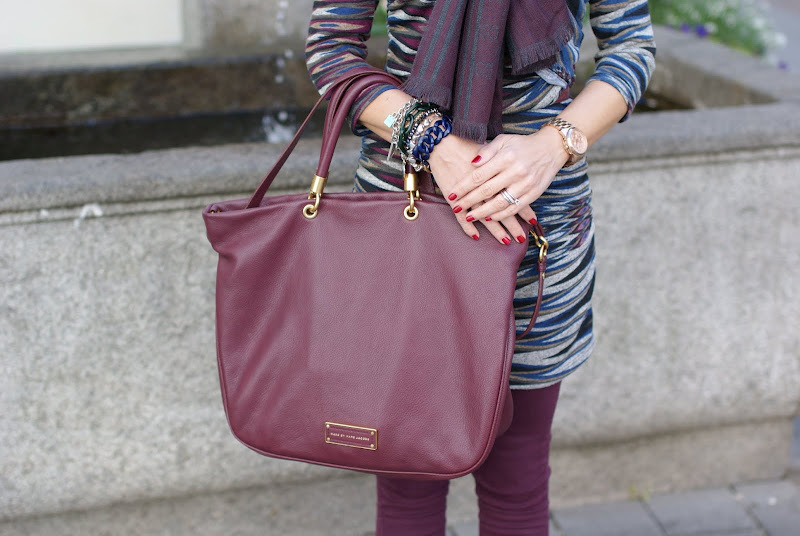 Burgundy looks great on you. i think those wedge sneakers look great with your leggings and graphic tunic-dress. Love the sneakers, so pretty! Great outfit! It looks very good on you!